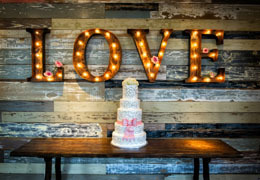 Select photos you like; we'll recommend wedding limo services in San Diego Try now! 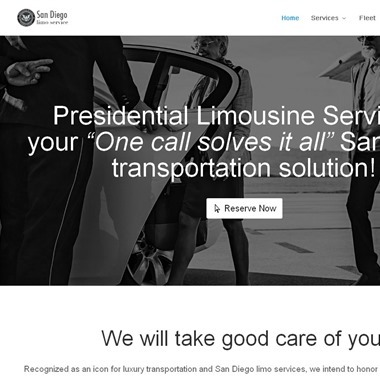 Presidential Limousine is a family-owned San Diego limo service. 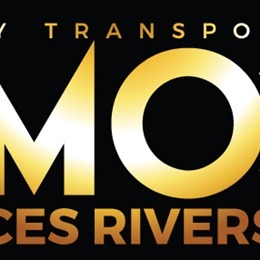 We offer a complete fleet of luxury sedans, suvs, stretch limousines & coaches. Our reservations team is here to assist with any travel arrangements you might have. Welcome to Lovely Nights Limousine Service! We are San Diego’s Premier Party Bus and Limo Service. Lovely Nights Limousine Service provides you a high-quality, professional limo service for your special occasion. Ride with us, with the peace of mind of the San Diego Transporter guarantee. Our customer service representatives will help you to decide the perfect limousine that is best match for your car service needs, and will assist you with anything else they can. It's your big day! Our executive sedans and limousines can get you there in style. Get the best family owned and operated limo service in San Diego with Royalty Limousine. Our San Diego limo services include different limo packages for all types of special occasions. A Plus Limos is a 5 star chauffered limo service that operates in and around the San Diego area. We offer the highest level of service, which is why local celebrities and professional athletes choose us. We have a large fleet of limos that you rent perfect for any occasion. Top Dog Limo Bus in San Diego, California was founded by Russ Van Huizum. 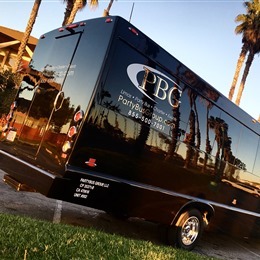 With more than 30 years’ experience in the limousine industry in San Diego and his dedication to excellence bringing award winning success, you can be confident in selecting Top Dog Party Bus for your next special event. 619 Limo is one of the most trusted and reliable airport transportation service providers in San Diego area, due to our reliable drivers and unfailing punctuality. We offer A-plus service at nominal rates. This is why our clientele has grown exponentially over the years. Our full range of luxury chauffeured vehicles, including SVUs, Sprinters, executive vans and charter busses, are professionally outfitted to meet the needs of your group, both large and small. 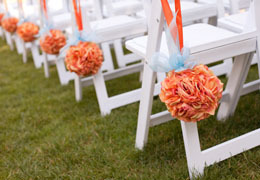 Our dedicated team works closely with you to ensure a flawless service for each and every group event in San Diego.